My 10 year old daughter is developing her own unique style. Long gone are the days when I would lay out her outfit each morning to help her get dressed. Now she is vocal about the style of clothes she likes and even the jewelry she wears. Last week she wore a pair of feather earrings to school. She’s quite the little fashionista and much more so than I was at her age! My baby girl is growing up. Bridget recently had the chance to try out one of the products on the 2014 Toys “R” Us Holiday Hot Toy List: Charmazing All Wrapped Up! Charm Bracelet Kit – Seasons Collection. This craft kit includes six charms and energy cards fro the Seasons Collection, three bracelets, a variety of beads and threads and instructions. 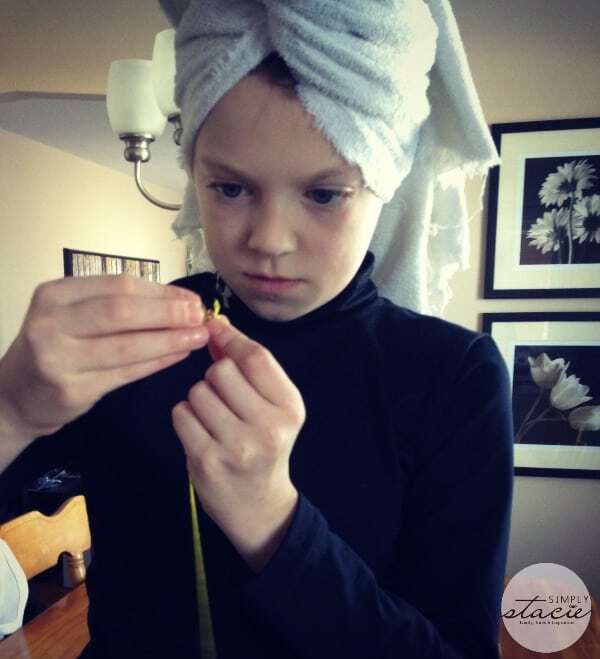 What I like about the Charmazing brand is that they give tweens the tools they need to create their own unique look. They provide instructions on how to make three different styles of bracelets. Or if your child prefers to create their own look, they can do that too. Bridget started out by following the instructions, but then went off and did her own thing. I could definitely picture bracelet making slumber parties. The girls could make their own bracelets and trade charms with their friends. Charmazing has over 100 different charms to collection in 11 unique themed collections. The charms fit into one of two worlds: Karma (positive energy) and Nature (powerful energy). I love how this collection inspires and empowers girls with positive messages and propels them to access their own creativity. In addition, their is also a virtual Charmazing world that kids can access via an app. I added the Charmazing app to my iPhone for Bridget to scan her Charmazing charms into the virtual world. The app is free and can be downloaded on iTunes or Google Play. Charmazing Let’s Get Started: Creativity starts here with this set that comes in five different collections, enabling designers to personalize their bracelets according to these themes: Wildlife, Seaside, Lucky, Heart and Emoji. Charmazing Charmastation: A unique bracelet workstation that keeps indivdiual bracelets secure so that charmasters can work their creative majic. Additionally, there’s a storage compartment to neatly stow and organize materials. Charmazing Color Me Up! : There is a rainbow of customizable options from three inspiring themed collections: Seaside, Season and Heart. Each features six charms, energy cards and beads. Charmazing Deluxe Kit: This complete set comes in both Karma and Nature World themes, enabling tweens to design six unique bracelets. Also included is the Charmastation bracelet working station, thread, beads and chains. Charmazing is geared towards children ages 8 to 12. 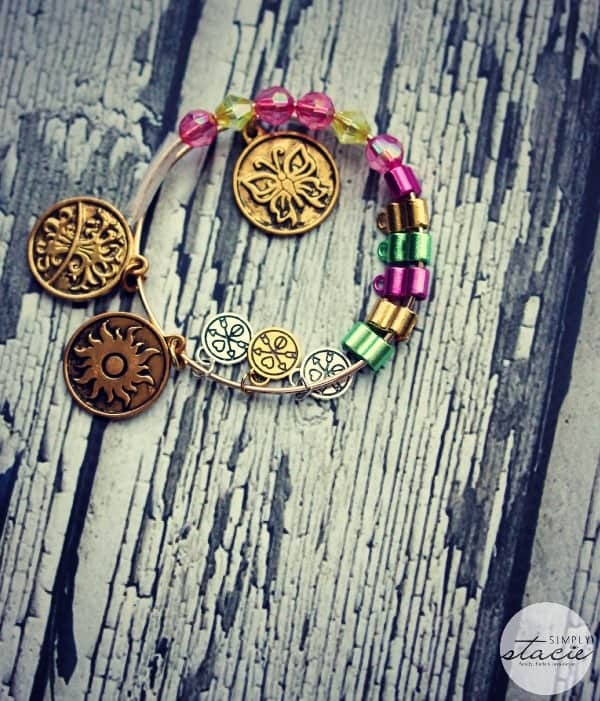 I think it would have been easier for Bridget to make the bracelets like they had in the instruction booklet with the help of the Charmastation. It holds the bracelet securely in place while your child designs it. She started out following the directions and then went off and did her own thing. Or maybe that was her plan all along! I’m not going to question her creative process! When Bridget found out there were more charms to collect, she asked if we could buy her more kits. I think we may have just started a new collection for her. It keeps her busy and she is having fun so I don’t mind! I think there will be more bracelet-making sessions in her near future. Santa may be buying her another kit! Check out this video to learn more about Charmazing! Connect with Charmazing by Style Me Up on Facebook, Twitter, Pinterest and YouTube. thanks for the info on Charmazing! my girls would love this! My niece would really enjoy this kit. She loves making pretty things. I love how mature yet fun the kit looks! It would make girls feel a little bit more grown up, which I know is usually their goal. It reminds me of Alex & Ani at an extremely reasonable price!! My grandchildren would love this.The girls love jewelry and to make their own would be awesome. My daughter has been really into making jewellery this year. She’s gotten good enough that she does it all without help so I’ll often see her making herself a new necklace or bracelet or making one to give to her grandma, cousin, friend etc. Thanks for the review on a product my daughter would love. Charmazing is a fun activity for girls! 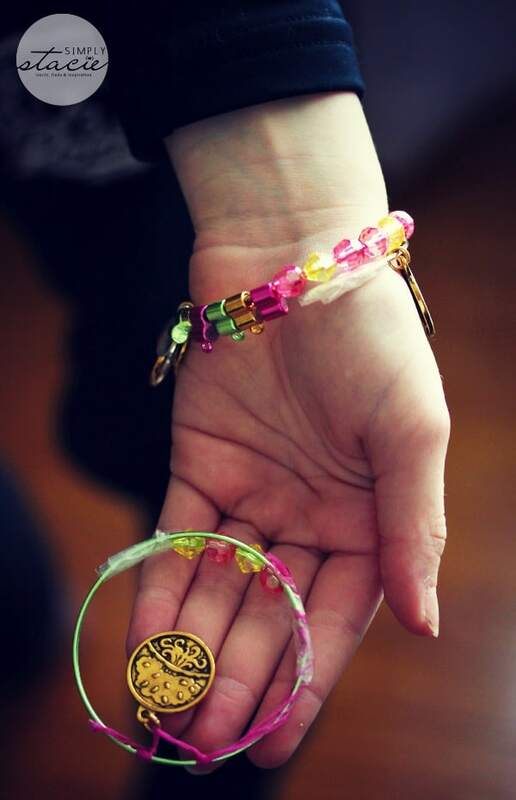 My granddaughter would definitely enjoy creating the beautiful charm bracelets. Charmazing looks like great fun. I find it amazing, and a plus, that there is an app. for the bracelet. With tweens, that will keep them interested. Also I like the fact that there are three bracelets in the kit, so the girls can make one by following a “schematic and still be able to make on of their own creations. Thank you for the post. my grand niece would love this! How fun! Looking forward to doing projects like this with my girl! What a great idea! I used to love to do this when I was a little girl! Thank you! Oh wow, this is neat! Can’t wait to do crafts like these with my daughter, she is still a bit young! This would be a great craft to do with my Sunday School class. My students are third grade girls and they love to make crafts. I am sure my niece would love this set! I love gifts that encourage creativity! This looks perfect for a little miss in my life. She would love this and could use it with friends too. Wow, nice! Wish I had of know about this earlier, I would of got one of these for my niece – it would of been perfect. Maybe for her birthday. my grandgirls would love this! My niece would love this for Christmas! Thanks for sharing! When I was a kid my grandparents always bought me crafty gifts for Christmas and I just love them. I am continuing their tradition with my nieces and this is perfect. Love the idea of the Let’s Get started where you make the bracelets based on themes. It’s great that they have different sets and charms. Lots of girls would have fun personalizing their jewelry. Plus, these would make great gifts for friends. This is really beautiful jewelry to make at home! 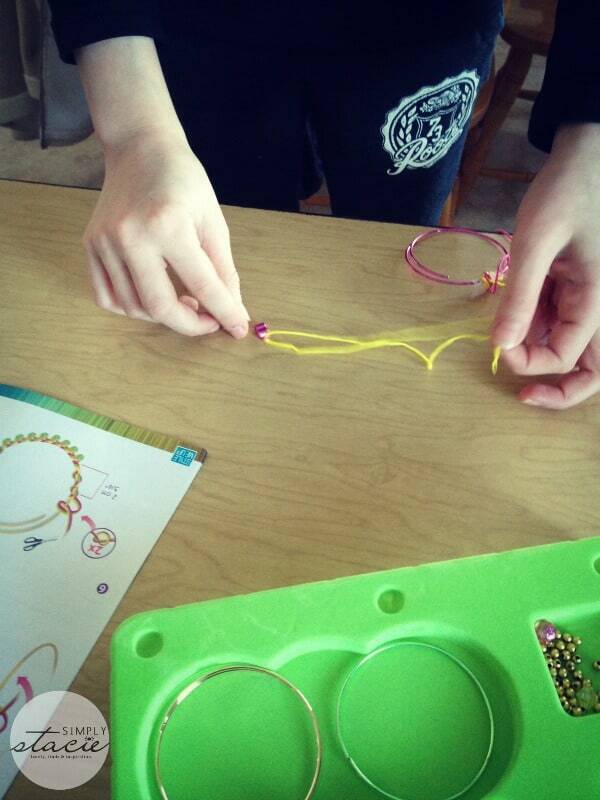 I think it is a fun way to be creative and let girls have fun creating the jewelry that they want to wear. My niece would love this for Christmas! 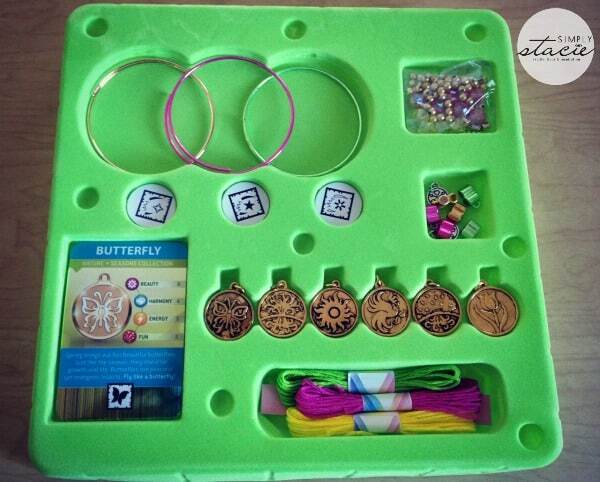 This is a great jewelry making set for a little girl, it would make a nice gift. Thank you for sharing this review. This is so cute my nieces would love making jewelry out of this kit hours of fun for them being so creative.